When it comes to roofing and siding, there are several things to consider. Whether you're looking for DIY roof installation tips, or if you simply want to learn about the available options, the articles written by LoveToKnow Home Improvement writers and editors are trusted, independent resources you can rely on. 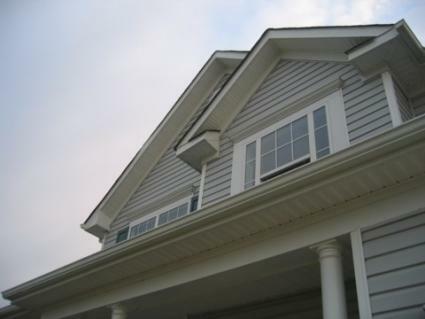 Siding has a significant impact on the overall look and feel of your home, so you'll want to be sure you are fully aware of your options and proper installation procedures before making final plans. Installation: Find out what's involved in installing your own vinyl siding so you can decide whether this project is one you can tackle. Even if you already have experience, you may find tips and tricks here that save you time, money, and energy. If you don't know exactly how to install it yet, you will find out basic information like which tools you'll need for the job. Learning the ins and outs can save you quite a bit of money and hassle. Siding options: Discover the difference between faux stone, vinyl, fiber cement, and cedar siding. You'll learn if it all boils down to looks or if the difference goes way beyond simple cosmetics, even down to differences in how to keep it clean. Roofing plays an important role in keeping your home and family secure from the elements, and can even provide insulation benefits. Not only are roofing projects important, they can also be costly. It's critical that you make wise choices when choosing roofing materials and installing them. DIY procedures: Find out what is involved in installing roof shingles, metal roofing and roll roofing so that you can get the facts you need to decide if you're prepared to tackle roof replacement or repair as a do-it-yourself project. Roofing options: Learn about the various roofing material options you may want to consider, from asphalt shingles to Energy Star metal roofing options and shake-look metal shingles. When it comes to roofing and siding projects and maintenance, it's essential that you are fully aware of relevant facts so you can make sound decisions. Knowing what to look for and how to make a quick fix could save you the trouble of having to repair avoidable structural damage to your home.